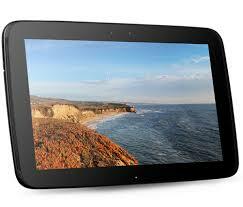 DigiTimes claim that a next-generation Google Nexus 10 tablet will be unveiled by Samsung at CES 2014 next week. They don’t have any indication of what the specs will be for the device, but we can assume it will come with Android 4.4 KitKat. Along with this rumour, they also suggest we will see the Exynos 6 announced by Samsung, plus a few other intriguing releases from Lenovo and Asus. Samsung is expected to unveil its new Exynos 6 series processor at the show adopting a 64-bit ARM architecture and eight-core design. Google is expected to launch the new Nexus 10 tablet at the show with Samsung remaining the manufacturer of the device. Many market watchers expect the device to adopt an AMOLED panel. Asustek Computer is expected to showcase several new products featuring a dual-operating system (OS) design (Windows 8.1/Android), while LG will also announce its latest tablet products. Seeing its first-generation Yoga series tablets achieve over one-million-unit sales in the first month after release, Lenovo is set to release its second-generation Yoga series tablets at the show to prolong its momentum. Might be nonsense fuelled by speculation however we are only days away from finding out and if there is a possibility then it’s exciting! We should know more about these devices at CES next week.